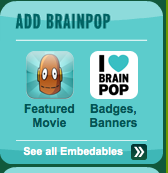 I have a subscription to BrainPop because I love their short, educational, fun, videos on all content areas. It is an invaluable resource. 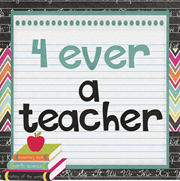 They have many videos that you can watch with your kiddos without a subscription and they even have a FREE link just for educators with lots of free resources from lesson, standards, quizzes, etc. Simply click on the link to start. One of my favorite new features is that you can add an Featured Movie app to your blog. It will play a different educational movie every week along with quizzes for the students. This gives student an excellent opportunity to review concepts at home, preview concepts, as well as have videos on important holidays/events. 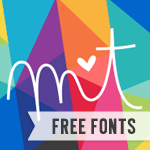 And once again, the best part is that it is all for FREE.